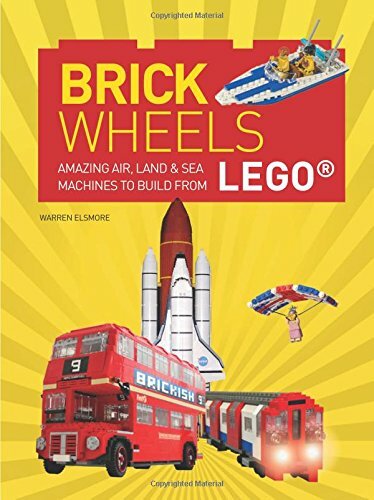 Brick Wheels (UK) or Brick Vehicles (US) is my fourth LEGO book, this time focussing on everything that moves! Using LEGO® bricks, artist Warren Elsmore and friends create stunning transport scenes across the four categories of road, rail, water and air. From the steam locomotive to the high-speed train, and the penny farthing bicycle to the stylish scooter, these projects will inspire and inform readers of all ages while providing additional trivia about transportation innovation. Thanks to its versatility and adaptability, LEGO lends itself to vehicles of all kinds. Brick Wheels showcases over 60 vehicles from around the globe in LEGO brick form, and there are clear instructions for the smaller models so that you can replicate these in your own home.